Below you will find Ledgeview’s webinar line-up for September 2016. These educational webinars cover a variety of topics for sales, marketing and service professionals. All webinars are recorded and available on-demand. If you “register” after the live webinar date you will immediately have access to the on-demand recording. With Inside Sales growing 300% faster than Outside Sales*, it is no surprise that organizations are ramping up their inside sales investment. Join Ledgeview Partners for a free 30 minute webinar on Thursday, September 14th as we provide 21 Tips (plus 2 case studies) on how to build, revitalize and grow a successful inside sales program at your organization. Presenter Greg Dove, creator of inside sales programs across North America, will review industry trends, success factors, watch outs as well as key metrics and dashboards to help you achieve sales goals you only thought possible from an outside sales team. Geared to current users and administrators of Microsoft Dynamics CRM, in these monthly webinars, CRM product experts will focus on CRM best practices for a new topic each month. Past topics have included Advanced Find, Dashboards, Data Management, User Adoption, Workflows, Outlook Client, Marketing, Activities, Sales Process and more. In addition, Ledgeview Partners will answer “How do I…” questions users (that’s you) submit when registering. Best part – you do not need to be a customer of Ledgeview Partners to participate but would sure love to have you as a customer someday! • Proper oversight and communications with field service employees to keep your operations cost in check while you grow your business organically. • Central control and people management for the competitive advantage you need to survive, where services are quickly becoming commoditized. 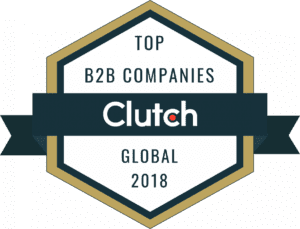 According to an Act-On research study, “61% of B2B Marketers are sending all leads directly to sales and only 27% of those are actually qualified or ready to talk to sales.” Do you see the major issues associated with this? How likely is it, that after time, your sales team will begin ignoring those leads because the majority are not producing sales for them? This session will focus on the development of targeted lead nurturing strategies, leveraging the use of Marketing Automation & CRM, to move leads from Marketing Qualified to Sales Qualified at various points in the sales funnel. • How to use lead nurturing to engage with prospects early in the sales cycle. • Using lead nurturing to continue to engage with sales and non-sales ready leads. • Leveraging lead nurturing to reengage with your current customer base. Every few years a “hot new thing” dominates marketing conversation – hitting the industry with a tsunami of media and a surge of hype. Lately the attention has been on account-based marketing (ABM), and although it may be hot, it’s far from new. However, modern technology now makes ABM accessible, scalable, and repeatable – and is delivering some tremendous results. Join us on Wednesday, September 28, 2016 as Gal Josefsberg, VP of Product Management & Marketing with Act-On Software sheds some light on ABM.